Drawing from the elegant lines and garments of Persian Saffavid miniature paintings, this classical Persian dance choreography is set to a song by the popular Iranian singer, Haydeh. for the world has many colors. This humorous Iranian piece is a playful imitation of the machismo style of dance done by working class men of South Tehran. SRDC first added Baba Karam to the repertoire in 1998, then updated it in 2014. In Persian, bandari means ''harbor.'' This spirited Iranian folk dance from the Persian Gulf reflects not only close ties with the peoples of the Arabian peninsula, but also tribal African traditions of trance dance, brought to Persia by the slave trade. Dancers in this choreography wear the shaliteh skirt that became popular at the Persian court of Nasseredin Shah in the late 19th century. According to some legends, these skirts were inspired by the skirts of the European ballet dancers the Shah saw in his 1873 visit to Paris. 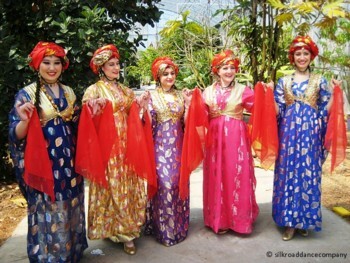 The dancers perform flirtatious gestures to the song ''Chesh Chesh,'' that speak of the eyes, the eyebrows and the lips of a beautiful girl. 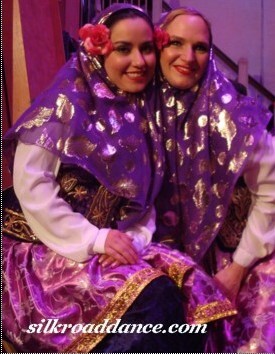 From the southern Caspian region, this Iranian folk dance celebrates the bounty of Nature. The movements depict the work of the women in the fields. Wearing the shaliteh skirt that became popular at the Persian court of Nasseredin Shah in the late 19th century, the dancers perform flirtatious gestures to a song that compares love to a feeling of drunkenness. Beyond the veil, into the mysteries of annihilation, you shall go. Drink the sweet wine, for you know not from whence you have come. Be happy, you don't know whither you shall go. This caravan of life strangely passes. Be happy a moment, for with rejoicing it passes. Why worry about tomorrow with its rivals? Wine bearer, bring forth the cup, for the night passes! In Nizami Ganjavi's epic poem, Haft Paykar, the Princess of the White Dome is linked to the planet Venus. The graceful, flowing lines of Persian miniature paintings come to life in this piece. The poetry, by Jalaleddin Rumi, praises the beloved. 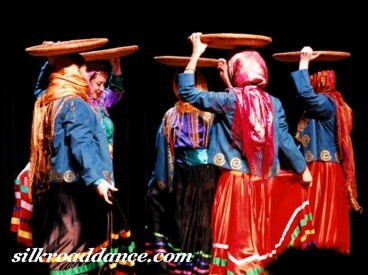 Our Silk Road Dance Company "signature" piece! Choreographed in the late 90s, this dance was the finale of our Kennedy Center premiere in 2001. In Persian folktales, the ''pari'' was a beautiful, fairy-like creature who sometimes visited the realm of mortals. In this dance, paris are lured to earth with joyous music, enchanting everyone with their loveliness. Dr. Laurel Victoria Gray. 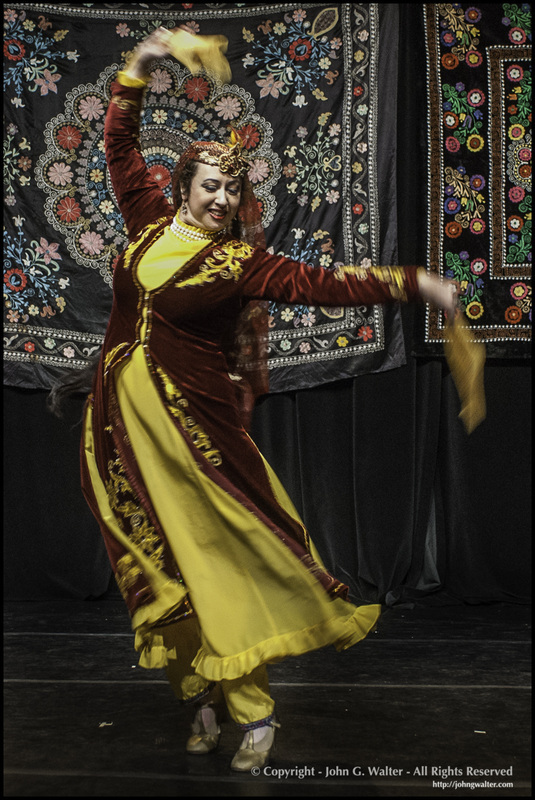 The elegant lines derive from Dr. Gray's system of Classical Persian Positions, based on her decades of research and performance experience in Persian dance. Two ladies venture out in changeable Spring weather to enjoy the flowers but get caught in an unexpected downpour. The sun returns and they remain in the garden to enjoy spring blossoms. 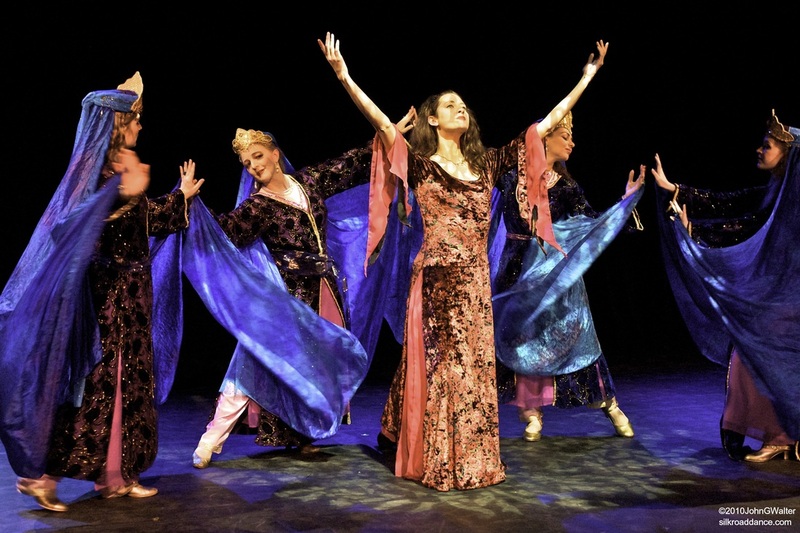 Choreographed in 2009 by Laurel Victoria Gray, this peice premiered in the Hidden Yearning concert in St. Paul, Minnesota, in which Silk Road Dance Company performed with local dancers. "Varan" means rain and the theme of the dance dealing with pain, healing and purification. 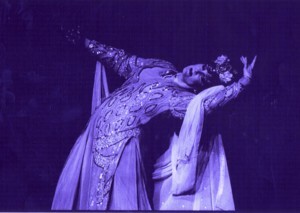 set to a song by legendary Persian singer Moein, acknowledges a deep love. 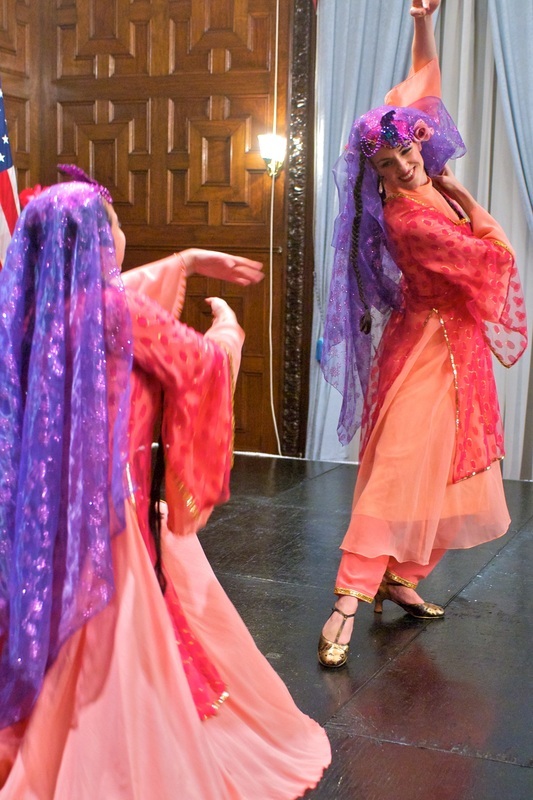 Silk Road Dance Company premiered this piece in 2012 at a Persian culture event held at the DC Public Library.